Many parents feel the need to help their children pay for college. However, with the high cost of college, it’s not uncommon for parents to consider PLUS loans to cover their children’s costs. However helpful parent PLUS loans can be, though, repaying them can be costly. The current rate for PLUS loans is 7.6%, up from the 7% rate for loans disbursed between July 1, 2017, and June 30, 2018. When it comes time to repay the debt, it can be frustrating to deal with those rates — especially if you can get a better rate with parent PLUS loan refinancing. So if you’re asking yourself “should I refinance my parent PLUS loan”, the answer is to at least understand your options, do some research, and compare interest rates. If you’re looking for a way to get a lower rate, or if you just need a lower payment, refinancing can be one way to go. Here are four ways to refinance your parent PLUS loans. When you refinance a loan, you borrow to pay off the old debt. Your new loan should have terms that you prefer, such as a lower interest rate or a longer repayment term (or both). With a lower interest rate, you’re likely to pay less money on your debt over time. Interest savings can be hundreds of dollars. And, if you keep the same loan term, you might see a smaller monthly payment because of the lower interest rate, improving your cash flow. In some cases, it’s less about a lower rate and more about reducing monthly payments with the help of a longer term. If you don’t end up with a lower rate, you could actually pay more in interest over the life of your loan, but you’ll have better monthly finances. 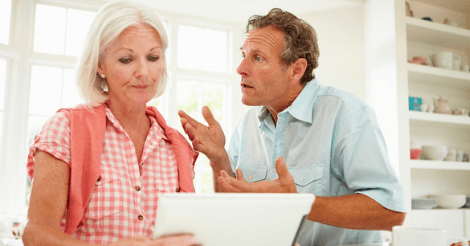 Can I refinance my parent PLUS loans? Whether parent plus loan refinancing is successful for you depends mostly on your credit situation. In order to get the best terms, you need good credit. In fact, some lenders won’t consider you for parent PLUS refinancing without a good credit score and adequate income. Keep in mind that when you got your parent PLUS loan from the federal government, the credit check was limited to major negative events, like missed payments or default on your own student loans. When you refinance these loans, you’re getting a private loan, and the underwriting standards are tougher. Before you try to refinance PLUS loans, double-check your credit. When you get your parent PLUS loan, it’s your debt, even if you take it out in order to help your child or grandchild with their education. In order to get around this, you can have your student take over the loan through refinancing. If you go this route, the student will have to be approved to refinance your debt. Since the debt was taken out as a benefit to them, some lenders are willing to have the student take it on. Can I transfer a parent PLUS loan to a student? However, if you refinance a parent PLUS loan to your child, realize that they will have to meet the credit requirements set for by the lender. That might mean you will have to cosign on the loan in order for them to get it. While the student then becomes mainly responsible for the debt, if they start missing payments, you are required to step in. The reality is that you can’t just put the student’s name on the PLUS loan and have them take over payments. Lenders require them to actually qualify for a loan. However, if you can have the debt put in their name, even if you have to cosign to help them qualify to refinance the parent PLUS loan, at least it transfers some of the responsibility to them. What about having a student paying parent PLUS loan? If you can’t get the company to refinance a parent PLUS loan into the student’s name, you can work with your child to see if they will make payments. They can send the payments to the lender each month instead of you, or they can send you payments that you can then put toward the parent PLUS debt. However, realize that in this arrangement, the child isn’t legally bound to pay the debt. It’s your debt, no matter who benefitted, so you’re expected to see the obligation met. Even if your student pays for a little while, understand that life circumstances could mean changes, and the student might stop making payments. Another way to pay off your parent PLUS loans is to refinance using a home equity loan. If you have enough equity in your house, you could get a loan and then pay off the PLUS loan. In many cases, because a home equity loan represents secured debt, you can get a lower interest rate. You might be able to save money and lower your payments each month. Depending on your credit, you might be able to get better terms with a home equity loan than you would from using a private parent PLUS refinancing company. The downside to using a home equity loan is the fact that you could lose your home if you don’t make payments. With a parent PLUS loan, there are credit consequences, and non-payment could mean wage garnishment or tax refund garnishment. However, you don’t have to worry about losing your home. Parent PLUS loans are unsecured debt, while a home equity loan is a secured debt. It’s important to be very careful and understand the risks before you use secured debt to pay off an unsecured loan. If you meet the requirements, you can actually consolidate your parent PLUS loans using the Income-Contingent Repayment (ICR) plan, which is the only income-driven plan compatible with PLUS loans. Using federal consolidation isn’t true refinancing. You aren’t going to get a lower interest rate, and you aren’t using a new loan to pay off current debt. However, with ICR you can get a lower monthly payment. If you’re hoping for more affordable monthly payments and better cash flow, and a lower rate isn’t as important for you, this can be a decent choice. With ICR, your payments are capped at 20% of your discretionary income or the amount of your payments on a 12-year plan, whichever is lower. Plus, you get a loan term extension to 25 years. If you’re struggling and parent PLUS loan refinancing isn’t a viable option, this could at least help you afford your monthly obligation. One of the perks of choosing ICR for your parent PLUS loans is that you then become eligible for Public Service Loan Forgiveness (PSLF). You have to meet the requirements of PSLF, though. So, you need to make 120 qualifying payments while working for a non-profit or government organization. If you know you’ll be working at a qualifying job for 10 years, getting on ICR so you can use PSLF later can be one way to keep your payments manageable and then have your parent PLUS debt forgiven later. Which Lenders Offer Parent PLUS Loan Refinancing? There are some lenders that specialize in refinancing parent PLUS loans. Some will refinance your loan for you, while others will refinance the parent PLUS loan into a student’s name. Carefully consider your needs before you move forward. These lenders will refinance your parent PLUS debt in your own name, but they also offer the option for your child to take over the loan — as long as the child qualifies. Check to see if there are special protections, such as hardship programs, offered by these lenders before proceeding. Although, if your main concern is to get the parent PLUS loan transferred to the student, it might not be a priority for you. Compare rates to get the best deal, and make sure you know what you’re getting into before you proceed. *You can compare refinancing rates from several lenders with Credible. We recommend you check Credible for prequalified rates for these lenders and then research other lenders, not on Credible’s platform to see your full spectrum of options. As you consider your upcoming life milestones and financial needs, parent PLUS refinancing can be a big part of making sure you’re able to accomplish what you’d like to, especially if you want to retire soon or already live on a fixed income. In an ideal world, your student would be able to take over the payments and you’d be able to find a lender willing to effect the transfer. However, not all grads are able to take on parent PLUS payments in addition to their own student loan debt payments. So, even if you’d hoped your child would take over, you might be on the hook in the end. It’s a good idea to prepare for that possibility. With refinancing, you can get the payments to a manageable level, as well as potentially save money in the long run with lower interests rates. Consider your needs. If you have good credit and a regular income, you might not need federal loan protections and PSLF. If that’s the case, refinancing can help you move forward. On the other hand, if you work for the government or for a nonprofit organization, you might be able to use the ICR workaround to better afford your payments while working toward forgiveness. Be practical about your finances going forward. Weigh your options and choose what is likely to provide you with the best long-term outcome.